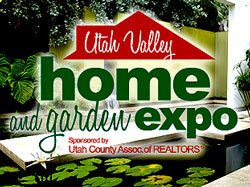 Utah Valley knows the best way to create your perfect home is to attend the Utah Valley Home and Garden Expo at the McKay Events Center in Orem, Utah. Packed with exhibits, experts and ideas on home improvement inside and out, the annual Home Expo is the premier home event in Utah Valley. The Expo focuses on the latest decorating and remodeling trends in the industry. Whatever it is, you’ll find it here. And look for many Expo-only incentives to ready your home for not only a fantastic summer, but to be your pride and enjoyment year round. The 2011 Spring Home Expo is Friday and Saturday, April 8th and 9th. Each year nearly 12,000 visitors enjoy Utah County’s largest Expo. Expect another great show including good food, exhibits from nearly 200 top home-oriented businesses, free prizes, play areas, seminars and much much more. And much more… We’ll see you there!